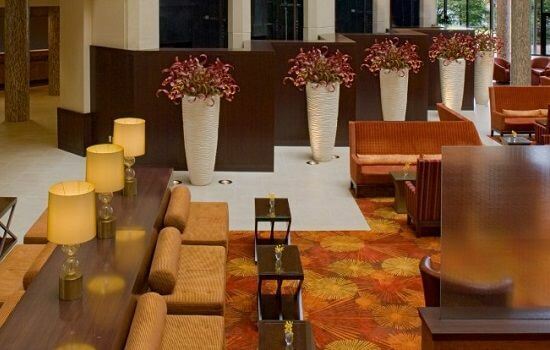 A great business style hotel, located next to the river and the closest downtown hotel to the circuit. 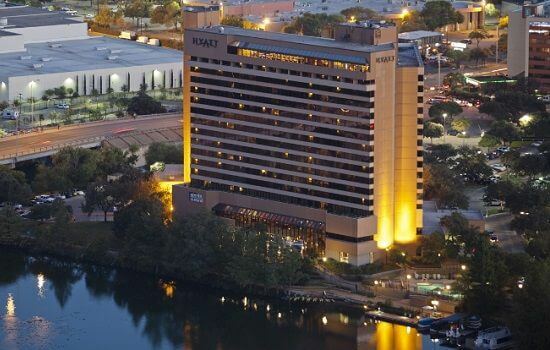 Set on the shores of Lady Bird Lake, the Hyatt Regency is arguably the best located hotel for F1 guests, set just a short walk away from the heart of downtown, but also the closest hotel to the Circuit of the Americas. It therefore offers the perfect balance between the vibrancy of downtown sites like 6th street and a resort-like peace of Lady Bird Lake. 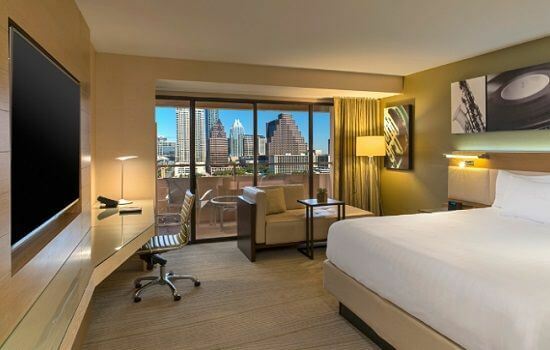 Set on the shore of Lady Bird Lake (which is actually the river), the AAA Four Diamond property lets you experience the best of Austin – a city famous for live music, rock-star dining and fine hospitality. Furnished in earth tones and rich woods, each of the 450 guestrooms offer Wi-Fi, 32″ flat screen TVs, iHome stereo with iPod docks, and marble clad bathrooms.